The Regular Season in Serie A just started. The fans could enjoy quite many interesting games in the last round. The round ended with loss of the undefeated team and derby games. Here is the last round review presented by ESL. The most crucial game of the last round was a loss of Diablos (0-1) in Caracas on Saturday night. Visitors were defeated by Atleticos (1-0) 65-56. Atleticos' supporters look forward to an exciting derby game next round, where their team will face at home their local rival from Caracas Comuna. Another exciting game for Broncos (1-0) which played in Caracas against Comuna (0-1). Broncos eked out just a narrow 2-points road win over Comuna 78-76. Comuna was very close to get their first win. But it seems they have to wait a little bit longer. Broncos will play against Guerreros (#6) in Valencia in the next round. Comuna's supporters look forward to an exciting derby game next round, where their team will travel locally in Caracas to the arena Atleticos. An interesting game was also tough home loss of Margarita in a game versus Gladiadores (#4) 90-81. Gladiadores will meet at home Acereros (#4) in the next round. Margarita will play against Buffalos in Tucupita and it may be a tough game between close rivals. 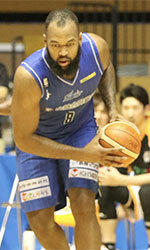 We should not miss anothera road victory of Cangrejeros (1-0) over Acereros (0-1) 77-65. Cangrejeros will have a break next round. Acereros will play against Gladiadores (#2) and it may be a tough game between close rivals. The game in Maracay was also quite interesting. Guerreros (0-1) played at the court of Recicladores (1-0). 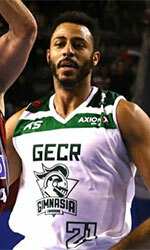 Recicladores managed to secure a 7-point victory 94-87 on Saturday. Recicladores will face Diablos (#5) in Caracas in the next round. Guerreros will play at home against Broncos and hope to win that game.